One thing that is indispensable for a business’ success irrespective of its size and nature is its brand. Whether a business is a small enterprise or a large multinational company, every kind of business needs to have its own brand strategy and brand value that play a pivotal role in its success. It’s a general opinion among many small business people that branding is something that is related to large businesses. Also, many people feel that it is necessary for only B2C organizations and B2B organizations need not be concerned about branding. However, this is not true and per branding consultants, every kind of business needs to build its brand. 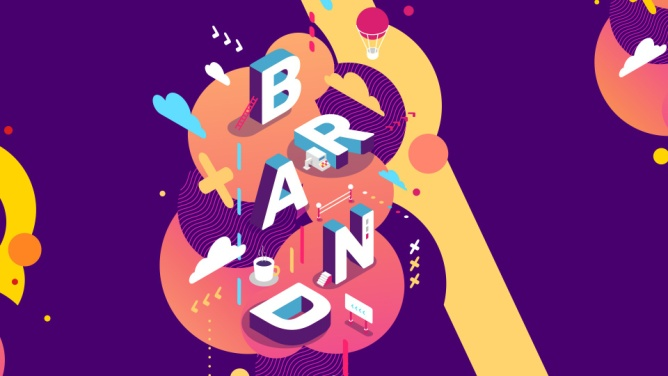 Defining and understanding brand is a difficult thing as it is a combination of various factors such as values, promises, and identifiers of a business. In simple words, a brand for a business can be related to what reputation is for a person. Corporate branding services professionals insist that reputation or brand is built over time with hard work and it requires great diligence and perseverance from each and everyone related to the business. It is not something that can be achieved in a day or two and does not have any shortcuts. Let us understand the elements that make a brand and help in the success of a business. Brand Positioning: It helps the organization and its people to understand what they do, for whom and how they do it. Per the brand consultants, a brand positioning statement is a fundamental aspect in developing a branding strategy and it is also one of the challenging elements in branding. It helps the organization to define the target customers and the unique value offered to them. Brand Promise: To create a brand value, the company should provide value to the customers through superior product quality, unmatched cost-effectiveness, and above all, excellent product quality. The experts at branding firms insist that all these things should be delivered to the customer each and every time they do business with the company. That is when the company keeps its brand promise. Brand Differentiators: Differentiating the company’s products and services from that of the others in the market is also a major element of branding strategy. This is important because it makes the company stand out from the crowd and people recognize and return to the company for the distinctly offered products and services. Companies can hire corporate branding services firms to analyze and help in creating the brand differentiators and taking them into the market to the customers. Brand Personality: The brand personality helps people understand the company and its products better. It includes the perception and voice tone of the brand in the sense that the company’s brand should be personified by giving it human traits. As people are known for their qualities and traits, companies also should have personality traits that help them in differentiating from the crowd. Professionals from branding firms suggest having 4-6 single word traits to give a shape to the company’s brand personality. Although it’s you who knows the in and out of your business, branding consultants can give a proper shape to your ideas and thoughts. Take the help of branding firms to build your brand the right way, because branding sets your organization stand out from the rest and facilitates being on the right track always.